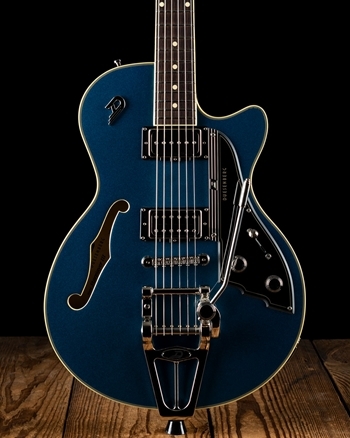 Duesenberg Guitars have created their very own niche of high-end and innovative semi-hollow and solid body guitars. 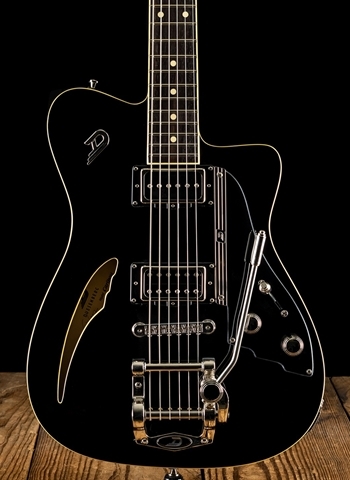 Guitarists like Robbie McIntosh, Peter Stroud, and Joe Wash, among many others have utilized the high quality craftsmanship and tonality of Duesenberg instruments to be the source of their iconic sounds. 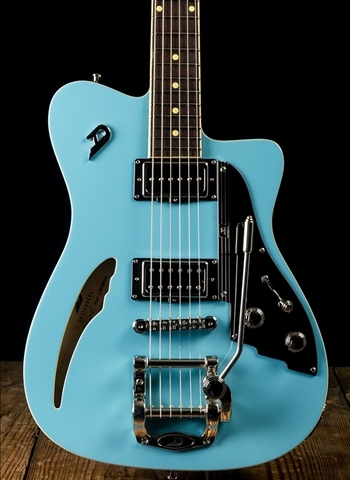 At N Stuff Music we are a proud dealer of Duesenberg instruments and are the main dealer of these fine guitars in the entire region. Come down to N Stuff Music today and we will gladly show you the fine quality that Duesenberg represents. 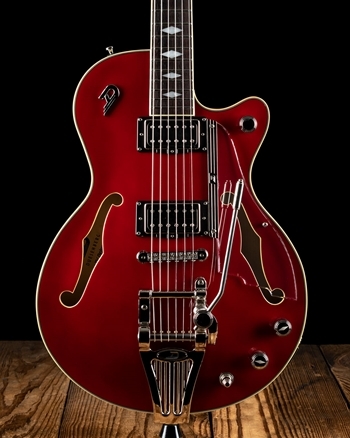 Duesenberg does an incredibly interesting job of combining semi-hollow styling with the playability of a solid body guitar and what you obtain is one of the most playable semi-hollow instruments in the industry today. Although the sound of semi hollow instruments is a beautiful warm sound, they can often be some of the most difficult electric guitars to play for players accustomed to playing solid body guitars. 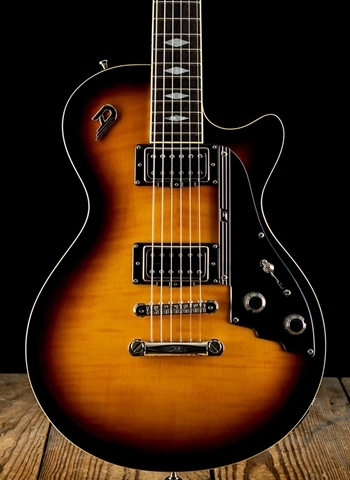 The size of the body in combination with a typically thicker neck can make a semi hollow very awkward for many guitarists. 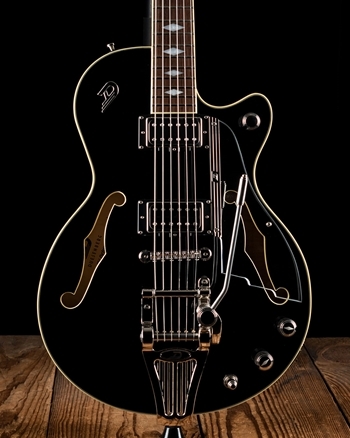 However, Duesenberg is a wonderful marriage of the semi hollow style with the easy of playing a solid body electric guitar. 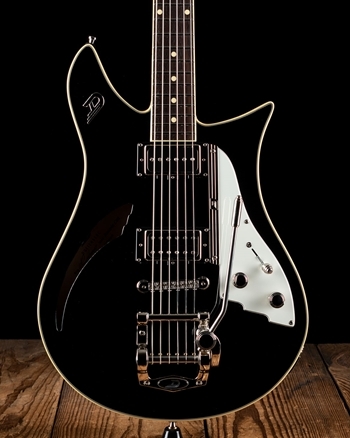 The playability in combination with rich and versatile tone is what has allowed Duesenberg to create a unique and exciting niche for themselves that some of the best guitarists in the world are a consistent part of. 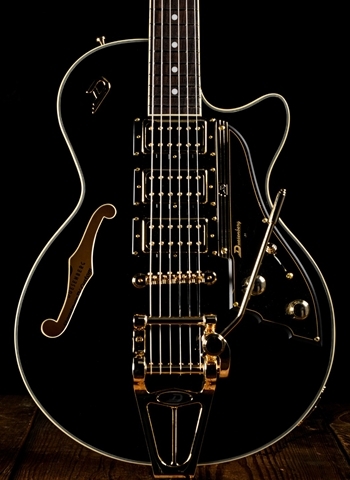 Founded in Germany in 1986, Duesenberg was originally a producer of heavy metal style guitars. 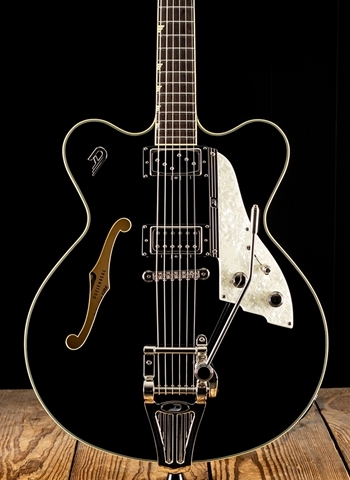 In the 90s Duesenberg first began making their Starplayer guitar which featured a semi hollow body with a flat spruce top as well as two pickups including one humbucker and one P90 single coil. The Starplayer is now one of their most successful instruments and is known for its brilliantly warm but versatile tone. 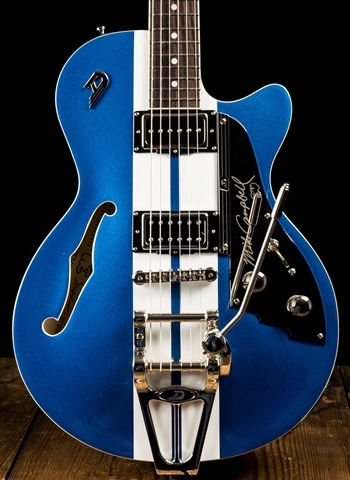 Despite their worldwide recognition and consistently high-quality guitar production Duesenberg is a small company that operates in the outskirts of Hannover, Germany. 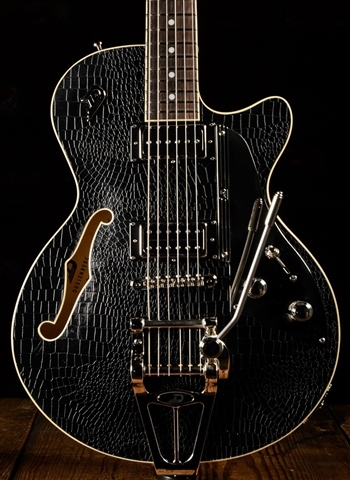 Even guitarist Ronnie Wood of The Rolling Stones has a signature model with Duesenberg and loves to reap the benefits of their pristine sound and unparalleled craftsmanship. Whether it is the Starplayer, Caribou, Fullerton, or a signature model Duesenberg, come down to N Stuff Music to try them today. 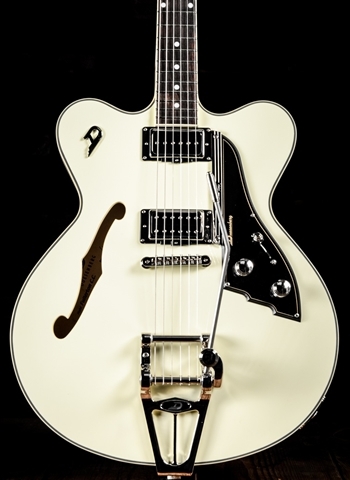 Contact us at N Stuff Music today for any questions or needs regarding Duesenberg guitars. We have customer service that is practically second to none and pride ourselves in our mission of providing optimum value for the customer. Our employees are experts in knowing the gear that exists in the industry and can guide you down the road of fulfilling your own musical needs.